GIS Research and Map Collection: Ball State University Libraries Mapping Where in the World is Matt Lauer? Ball State University Libraries Mapping Where in the World is Matt Lauer? This morning marks day four of the Today Show segment Where in the World is Matt Lauer? Lauer showed up today in Jungfrau, Switzerland, in the middle of the Bernese Alps near the border between Switzerland and Italy. The Ball State University Libraries’ GIS Research and Map Collection (GRMC) is following Lauer around the world by featuring maps of his destinations. The map of the Alps shown above (click to enlarge) was published by National Geographic. The map shows the location of Jungfrau and gives the elevation of the mountain at 4,158 meters (13,642 feet). 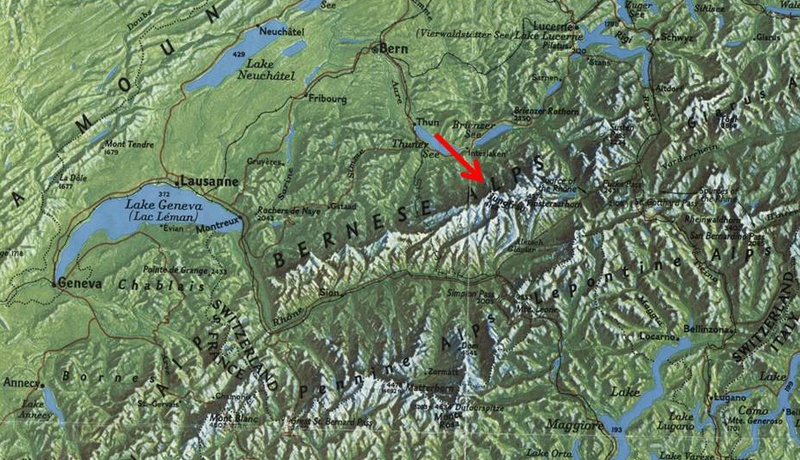 The Columbia Gazetteer of the World describes Jungfrau as the highest point in Europe that is reached by railroad. 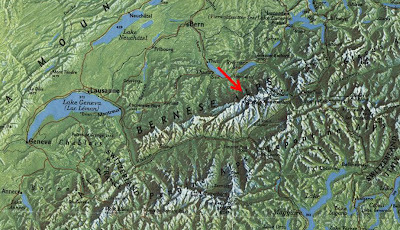 The gazetteer explains that Jungfrau is part scientific post and part tourist resort with summer skiing and dogsled rides. A meteorological station is located nearby atop the Sphinx summit. The GRMC includes a large collection of maps of Switzerland, including cities, regions, and tourist and topographic maps—both current and historical. The Columbia Gazetteer of the World is a great resource for information about geographic locations and is available as a reference item in the GRMC. Additional copies are available in the Atlas Collection and the Reference Collection of Bracken Library.